As the population of the East Side grew in the 18th century, residences sprang up quickly along Benefit Street. Intended for “the common benefit of all,” Benefit Street encouraged the construction of homes higher on the ridge of modern-day College Hill while still remaining within existing property limits. This was possible because of the very narrow, but long, plots that Roger Williams designated for the new community of Providence in 1636. These plots began at the edge of the Great Salt River and Cove, and extended up the hill. Colonists typically used the higher land to plant fruit orchards and graze livestock. Unlike many other New England towns, the Providence settlement faced the waterway, rather than surrounding a meeting house. The emphasis on religious liberty explains this choice: since colonial authorities in Rhode Island could not force men and women to worship, the Church did not serve as the center of the community, literally or figuratively. This unique orientation of the settlement did not mean, however, that Providence townspeople did not worship. Most did so, and they first used private homes before a meeting house was constructed to better serve the religious needs of the community. Roger Williams founded the first Baptist congregation in the U.S. in 1638. 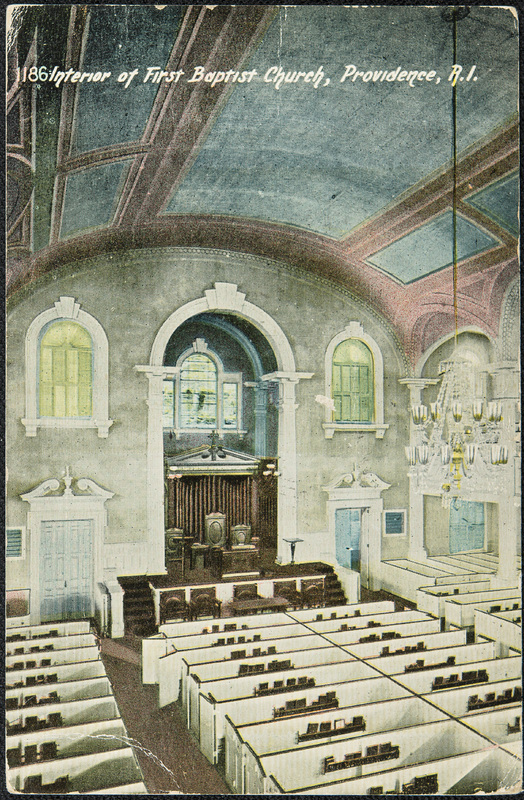 In 1775, while Providence enjoyed economic success, the Baptists made a new and bold move in erecting this magnificent building, the First Baptist Church. The largest surviving wooden structure from Colonial America, it combines the simple hall of a traditional New England meeting house with the most fashionable English architectural features, such as the steeple, modeled after a version of the one at St. Martin in the Fields (1724), on Trafalgar Square in London, by architect James Gibbs. Brown University, founded as a Baptist college, has held its annual commencement in the church every year since 1776. 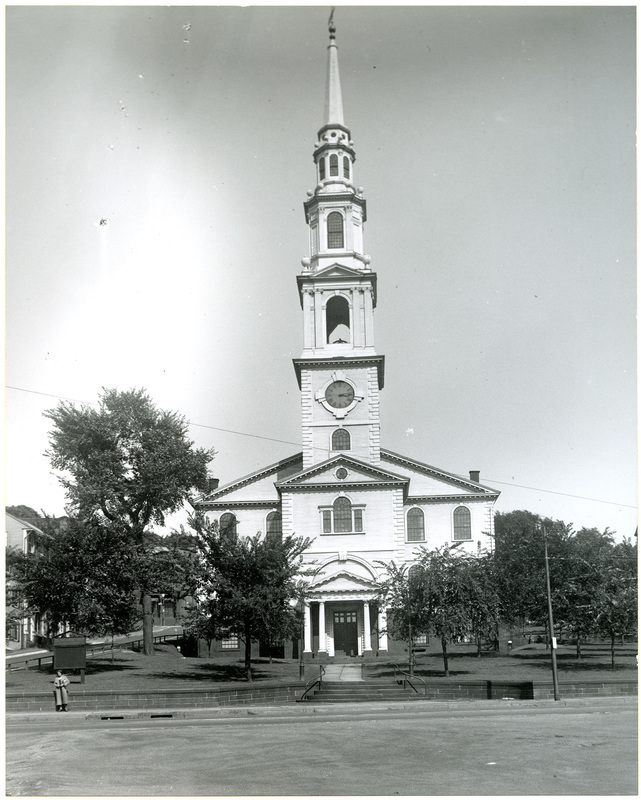 First Baptist Church Exterior: This structure, built between 1774-75, benefitted from the Boston Port Act, which closed Boston Harbor to commerce in retaliation for the Boston Tea Party. 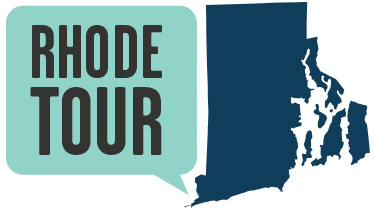 Shipwrights and carpenters in need of work traveled to Providence to construct the meeting house. James Manning: Although they no longer share denominational ties, the First Baptist Church and Brown University have a long shared history. 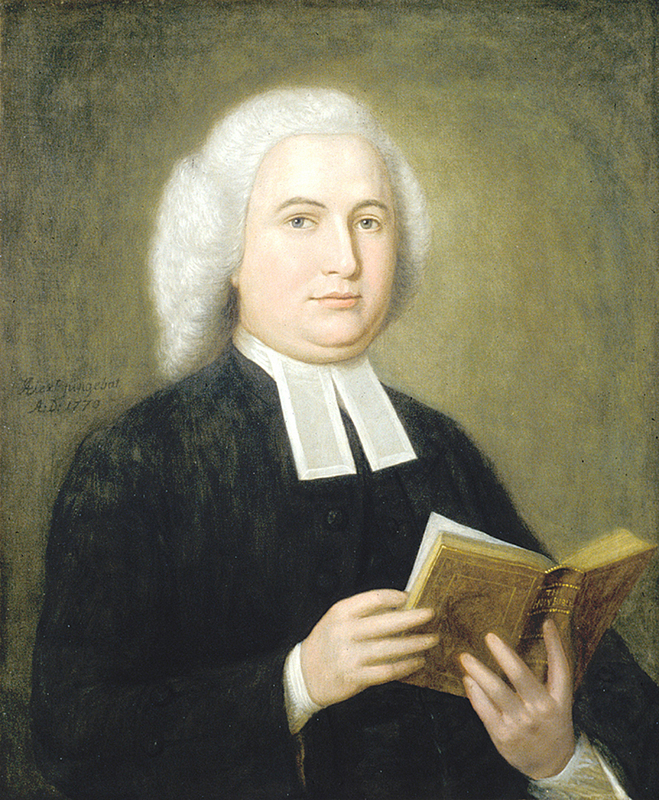 Dr. James Manning, the first president of the College of Rhode Island that would become Brown, was the pastor of the First Baptist Church when its Meeting House was erected in 1774-1775. Family burial plots once lined Benefit Street; most were moved to make way for new construction, but some still remain. One of the most prominent markers is the gravestone of Pardon Tillinghast, an early pastor of the First Baptist Church. The graveyard is located on the western side of Benefit Street, just north of Barker Playhouse. Elyssa Tardif, “First Baptist Church,” Rhode Tour, accessed April 21, 2019, http://rhodetour.org/items/show/185.